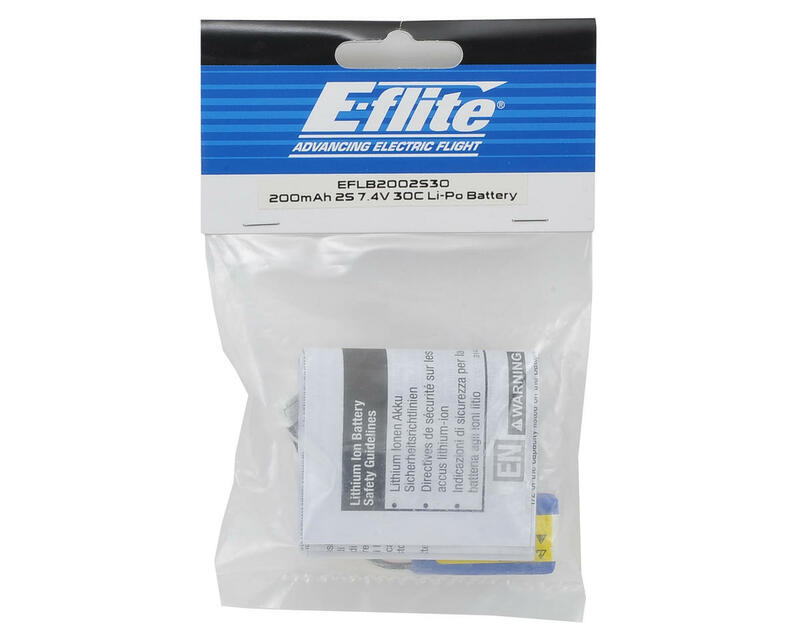 This is an E-flite 2S, 30C, 200mAh Li-Poly Battery Pack, intended for small aircraft use. 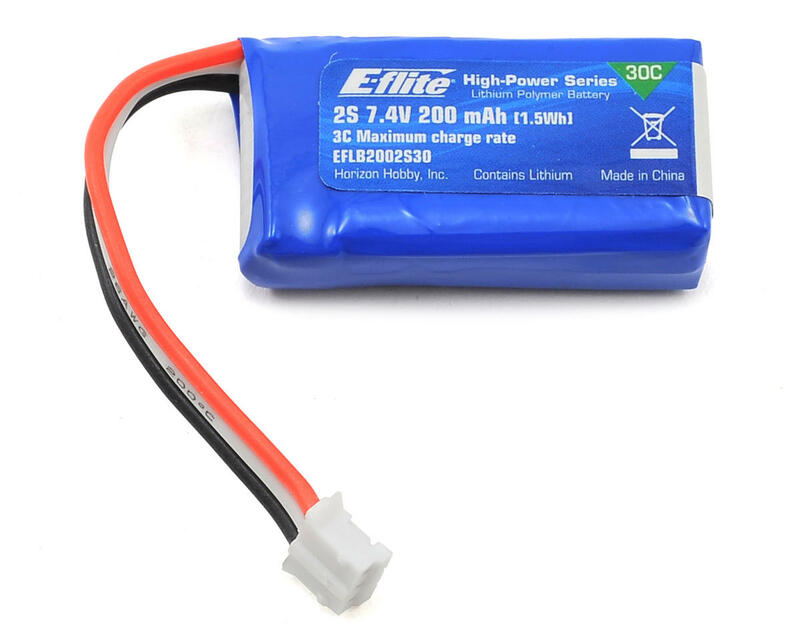 Note: This is the battery stated to be compatible with the mCPX BL. However, the last shipment of batteries are the incorrect dimensions to fit the mCPX BL. Because of this, this battery will not fit and is not compatible with the mCPX BL.